Le recrutement des dessinateurs devient aussi acharné que le milieu du football. Mais qu'est ce que c'est classe ! Hey there! 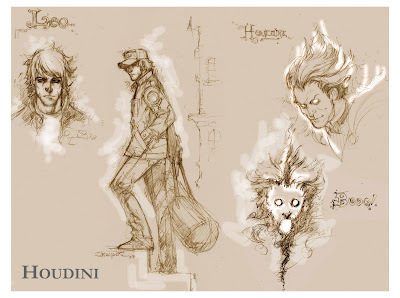 Sorry I can't read the French too well (I'll learn it some day soon), but: these are some killer sketches! Glad to see you've found the perfect artist for this project - it looks fresh and dynamic; I'm looking forward to seeing some pages.